We offer elegant gift packaging and leave you to make a more personal, hand-picked choice from our range of over 5,000 wines & spirits. 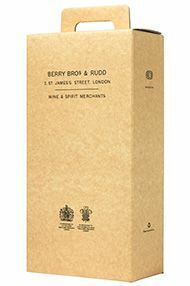 Our gift packaging is only designed to fit 75cl bottles of a standard Bordeaux or Burgundy shape. It will not be appropriate for certain bottles of sparkling wine or fluted bottles, for example. Please contact Customer Services on 0800 280 2440 if you require further information.